At that time Georgia was under heavy political pressure from Persia. 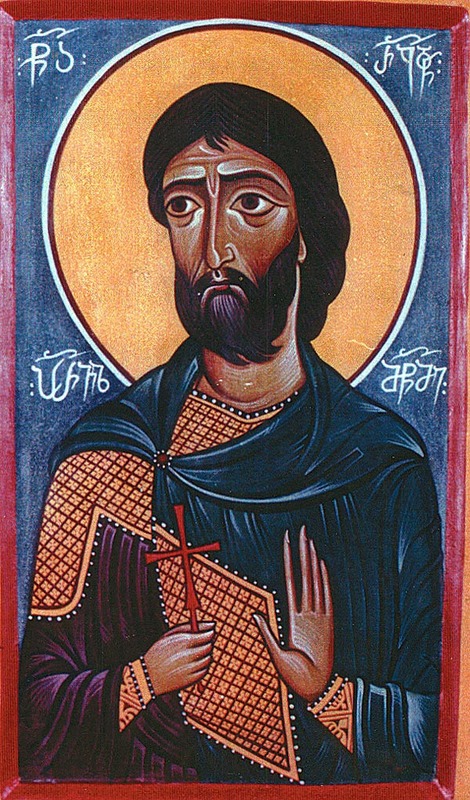 Enraged at King Vakhtang’s clearly Christian convictions, the Persian king Peroz (457-484), Son of Yazgard III, attacked Georgia with an enormous army. His accomplishments in this battle earned Razhden his distinction as a brave and virtuous warrior. Razhden fearlessly asserted that Christianity is the only true faith and that Christ is the only true Savior of mankind. King Peroz tried to conceal his anger and cunningly lure Razhden to his side, but his attempt was in vain. Convinced that his efforts were futile, Peroz finally ordered that the saint be beaten without mercy. The expert executioners trampled Saint Razhden, battered him, knocked out his teeth, dragged him across jagged cliffs, then chained him in heavy irons and cast him into prison. Razhden replied to his appeals. Such was the Persians’ verdict. 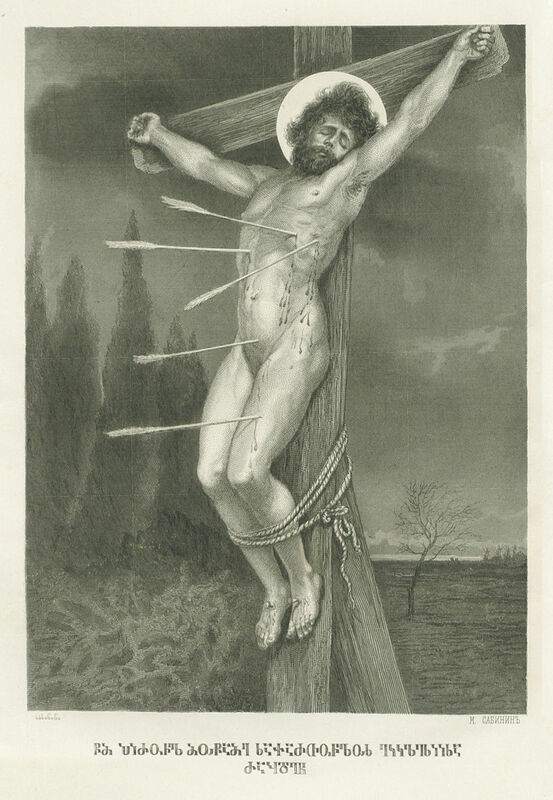 They erected a cross, crucified Christ’s humble servant, and prepared to shoot at the pious man with bow and arrow. 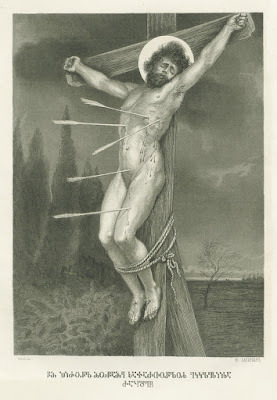 “Into Thy hands, O Lord, I commit my spirit!” were the last words of Saint Razhden. That night a group of Christians stole the Persians’ cross, took the holy martyr’s body down from it, and buried his holy relics in secret. 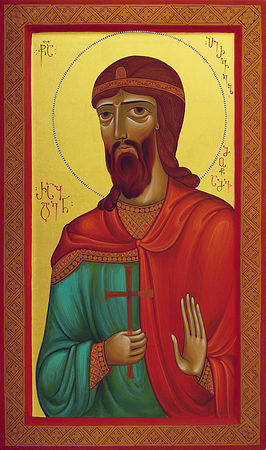 A few years later Vakhtang Gorgasali translated Saint Razhden’s relics from Tsromi to Nikozi (in central Georgia) and interred them in a cathedral that he had built there not long before. Holy King Vakhtang later erected churches in honor of Georgia’s first martyr in Ujarma and Samgori in eastern Georgia.